Reverend Cecil Williams, the legendary leader of Glide Church, recently celebrated his 86th birthday. Now, thanks to the heroic efforts of film director Robert Zagone, a 1975 television program on Reverend Williams will be shown December 16 for the first time in four decades. I saw the film recently. It is not to be missed. If you have never seen the pre-1980 Cecil Williams, you are in for a remarkable treat. His passion and revolutionary ardor dominates the screen. The show was filmed in the wake of Glide’s getting national attention in February 1974 for conducting a food giveaway demanded of Randolph Hearst by his daughter Patty’s kidnappers. The event firmly put Reverend Williams on the national map. Zagone, whose 1966 film Drugs in the Tenderloin has played to two sold-out showings at the Tenderloin Museum, directed the television program in 1974 for the national PBS series, Interface, which presented an innovative perspective on African-American and Latino culture. 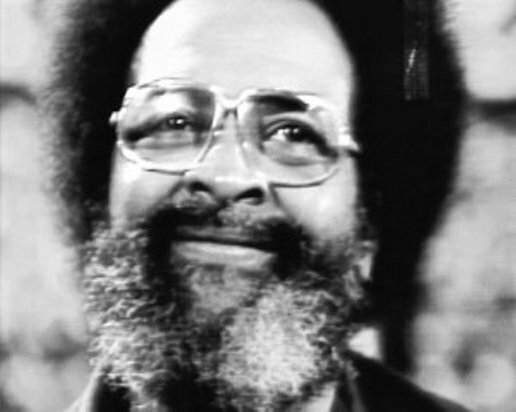 Reverend Cecil Williams became pastor of Glide Memorial Church in 1963. His spirited Sunday services became jazz-filled “Celebrations” that drew people from many different backgrounds. Under his leadership Glide’s membership grew from 35 to a 10,000- member congregation of all races, ages, genders, ethnicities, sexual orientations, and religions. A supporter of gay rights far ahead of his time, Cecil founded the Council on Religion and the Homosexual in 1964. He welcomed everyone to participate in services and hosted political rallies with speakers as diverse as The Black Panthers, Billy Graham, and Angela Davis. Glide is the largest provider of social services in the city, serving over three thousand meals a day, providing HIV screenings, adult education, homeless assistance, and support for victims of domestic violence, substance abuse and mental health issues.